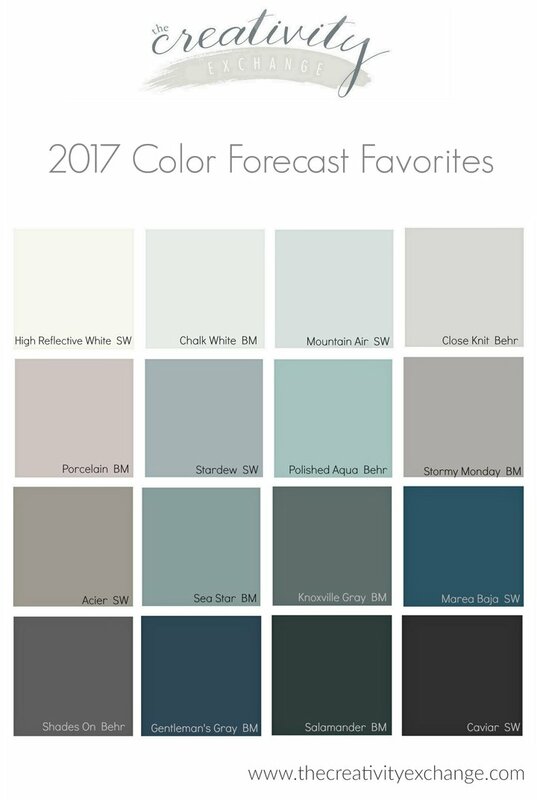 Well…, I am sorry that I’m so late on doing my annual recap of the 2017 paint color forecasts and trend reports that came out last fall. 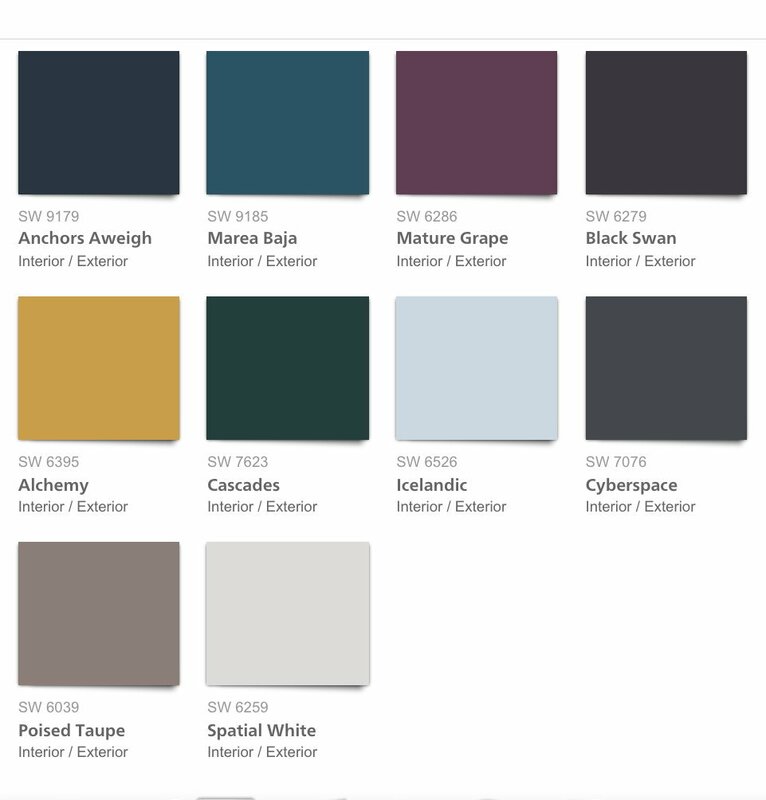 For those of you new to my blog, years ago, I started a tradition on the blog by sharing my favorite colors that I pulled from various paint companies annual color forecasts for the coming year. To go back and look at my forecast posts from past years, you can find them here. More than any other design/color type forecast/prediction that comes out, I look forward to the paint manufacturers forecasts because I think they are by far the most reliable because they are based on current paint color sales indicators. 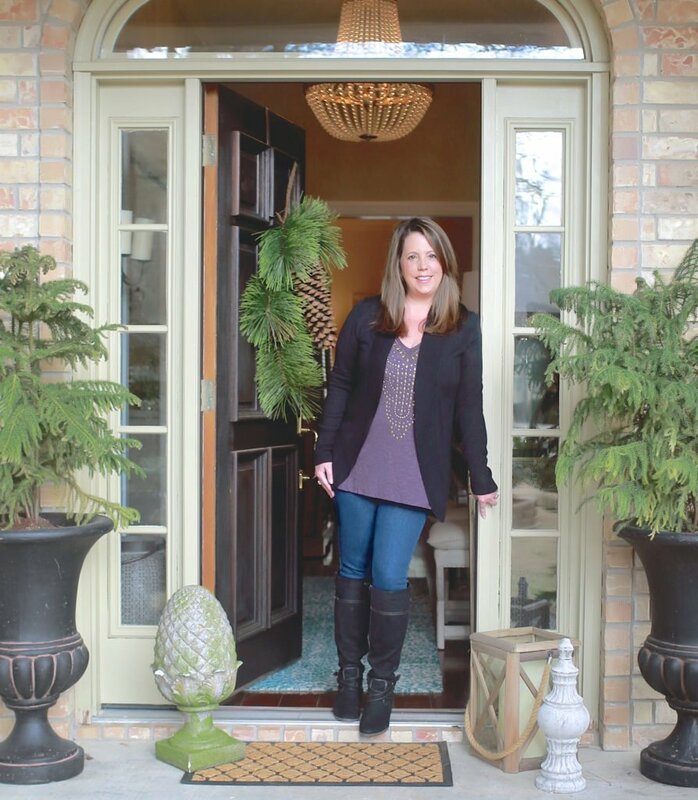 This year, after devouring all of the various 2017 paint manufacturers forecast reports (Benjamin Moore, Dunn-Edwards, Sherwin-Williams and Behr), the common thread I have found is we are heading into rich, den-like deep colors. While I was really surprised by this, I have to say I have been seeing this transition with consumers (especially in the last 6 months) but I just never put my finger on it until I saw the 2017 forecasts. This year, I’m doing something a little different. 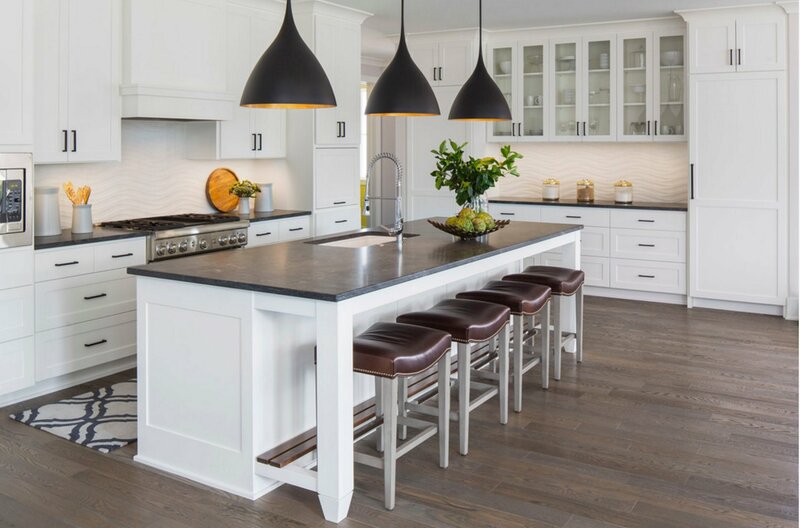 While I’m sharing some of the exact colors mentioned in the various 2017 paint color forecasts, I’m also sharing images of very similar colors that are trending on Houzz, Pinterest and other resources. I really wanted to show you the best examples of colors painted in spaces that will be popular and trend through 2017. 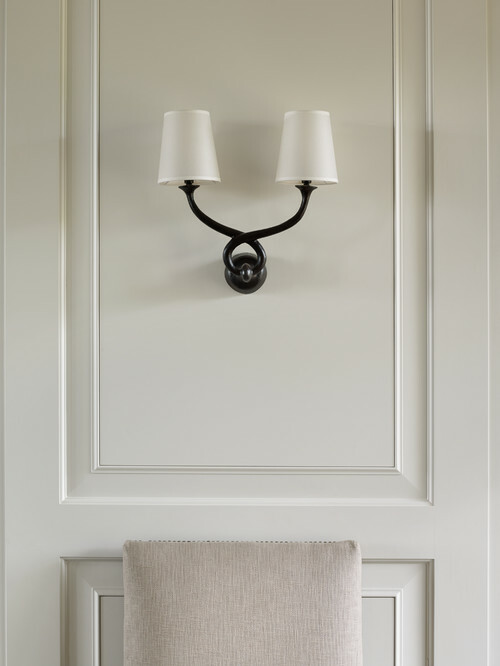 Benjamin Moore Gray Timberwolf via Houzz/Rinfret Ltd. The various paint manufacturers base their forecast reports on what consumers are actually buying and painting on their walls. 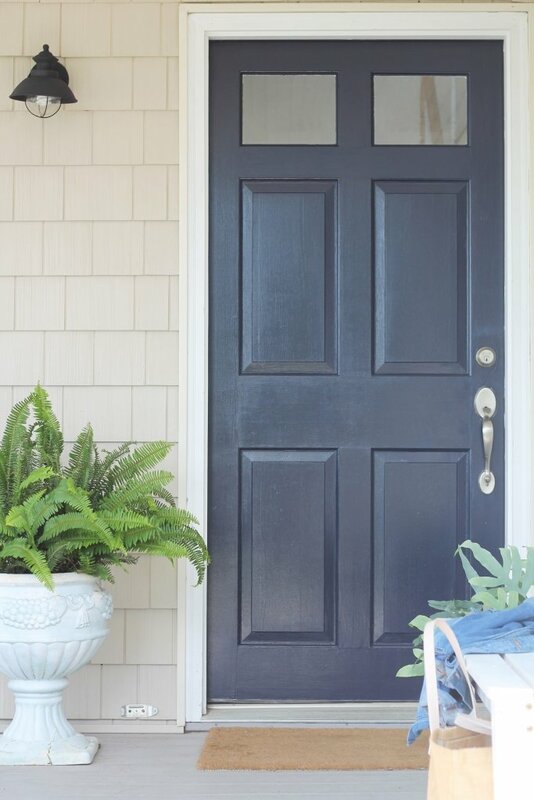 The best part of this is that the paint companies have programs to track even the slightest changes in undertones as we buy paint color and they can see slight movement as we move as a whole from one undertone into another. Honestly, these reports are really like Paris Fashion Week, where colors in the forecasts may not be something we would ultimately paint on our walls but it’s more about undertones, hues and where we are heading. 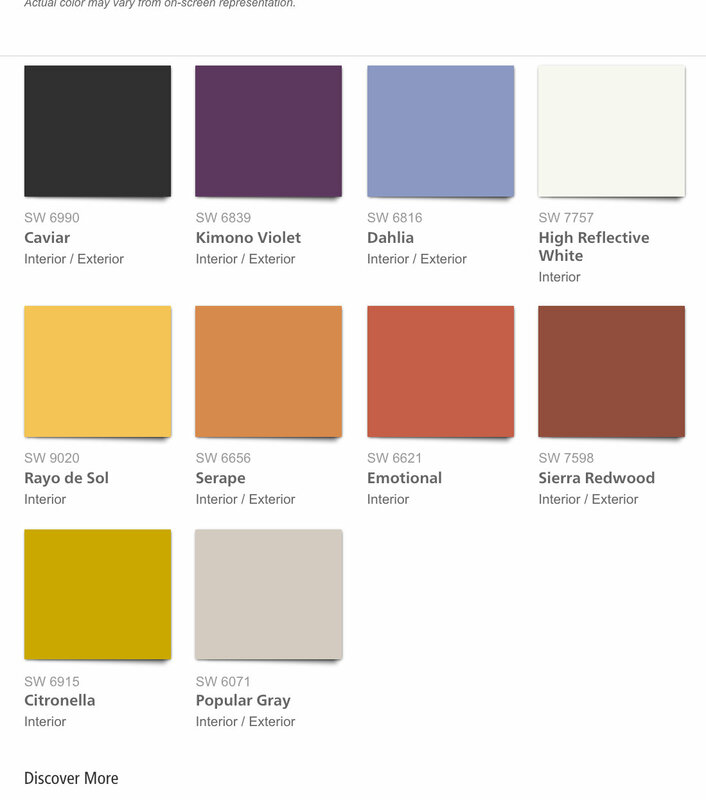 So I pulled all of my favorite colors below from all the different paint manufacturers 2017 forecasts that I think we would actually use today on our walls, cabinetry and furniture. The Noir palette is rich with vineripe fruits, Nordic blues, moody neutrals and golden yellows. This is a great example of those deep rich (den-like) colors with multiple undertones. Just look at these amazing rich colors. 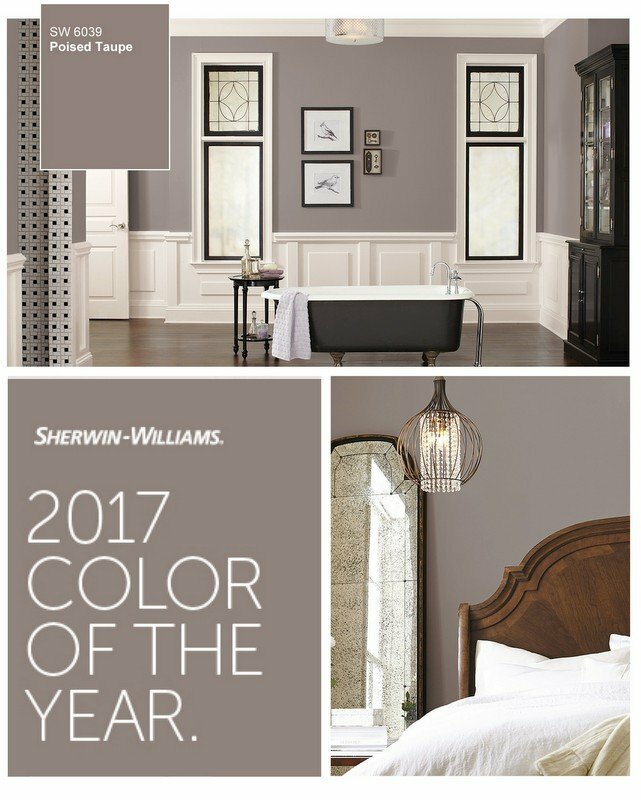 Of course, Sherwin-Williams recently announced that Poised Taupe is their 2017 Color of the year. I love all of the rich colors in the Noir Palette and of course, I think everyone here knows that we have really seen a huge surge of rich navy trending the last couple of years. Another common color that I found across all the various forecasts for 2017 was the huge presence of rich blacks. Of course, black walls (and other rich darker) have really been trending lately and I agree, I think they will continue to be popular into 2017. 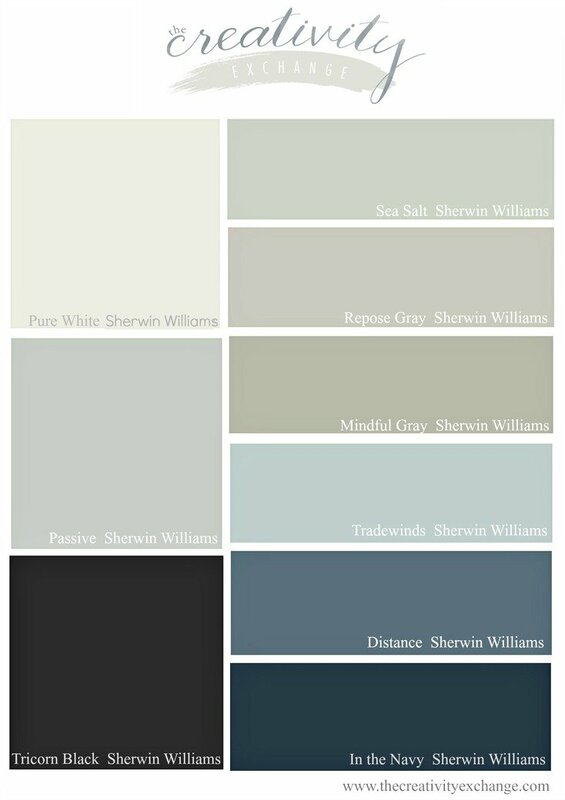 The Holistic color palette from Sherwin-Williams forecast is a palette of calm and soothing retreat-like colors. Again, even though this palette is a lot lighter than the Noir palette, notice that the colors are still rich with multiple undertones. I wanted to point out that the blue gray shades like Mountain Air and Stardew above in the Holistic palette are two common colors found across all the various color forecasts and also two of the most popular shades of blues right now when it comes to paint colors. 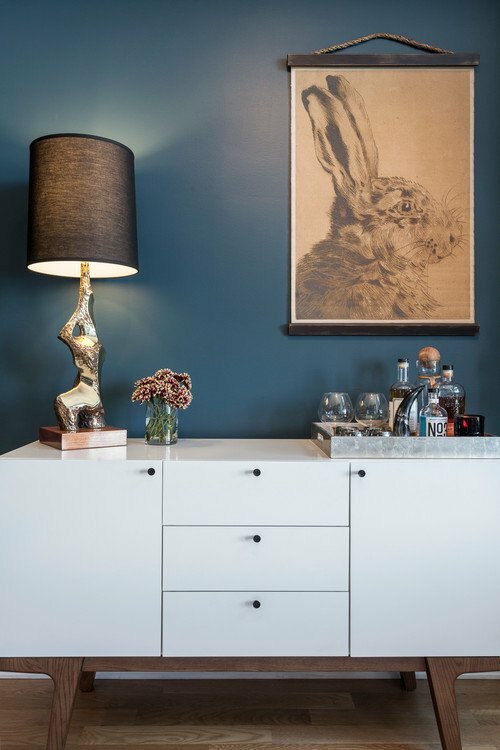 Benjamin Moore Yarmouth Blue is (by far) one of the most popular shades of this blue/gray. One other thing I wanted to mention that stood out in all of the forecasts was that the whites and grays for forecasted to warm up even more from 2016. This was no surprise as all the paint manufactures have been telling us about this trend for a couple of years now. 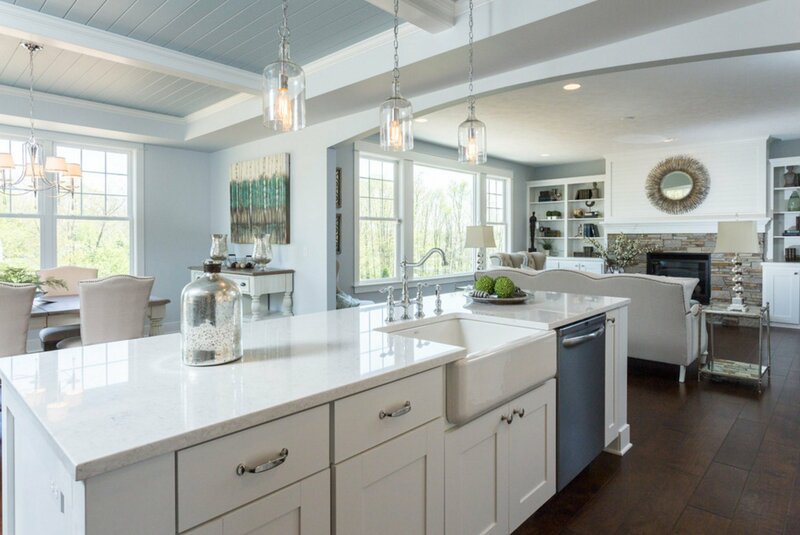 Sherwin-Williams Alabaster continues to be a trending warmer white. 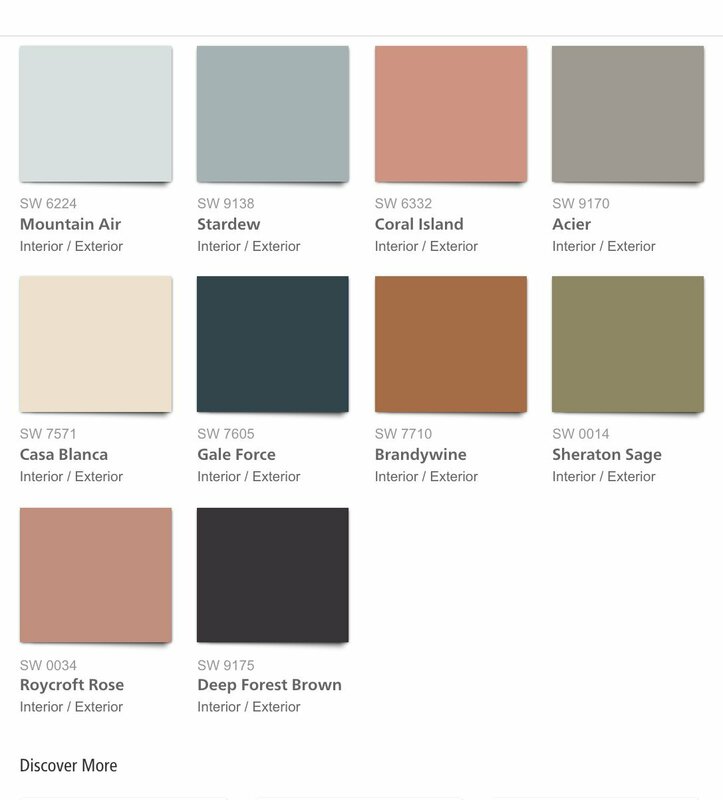 The Unbounded color palette from Sherwin-Williams for 2017 is really a beautiful global palette full of fun colors. This really translates boho chic to me that really took off this last year and is starting strong in 2017. While I agree these colors are surging, I think we’ll see more of these colors in fabrics, accents and even painted furniture more so than on walls. 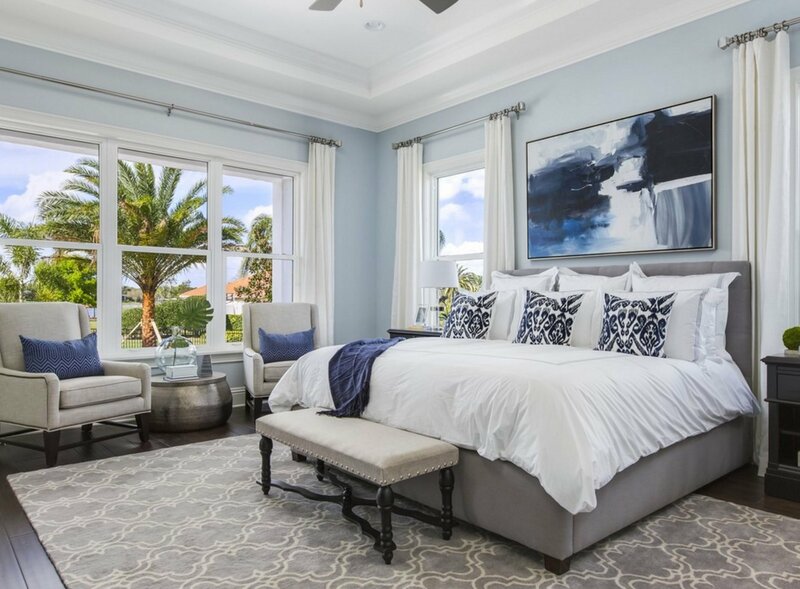 Darker teal, similar to Adriatic Sea in the above palette has been trending this last year and I am seeing it a lot on the walls. I think it will be one of the most popular bolder colors in 2017. 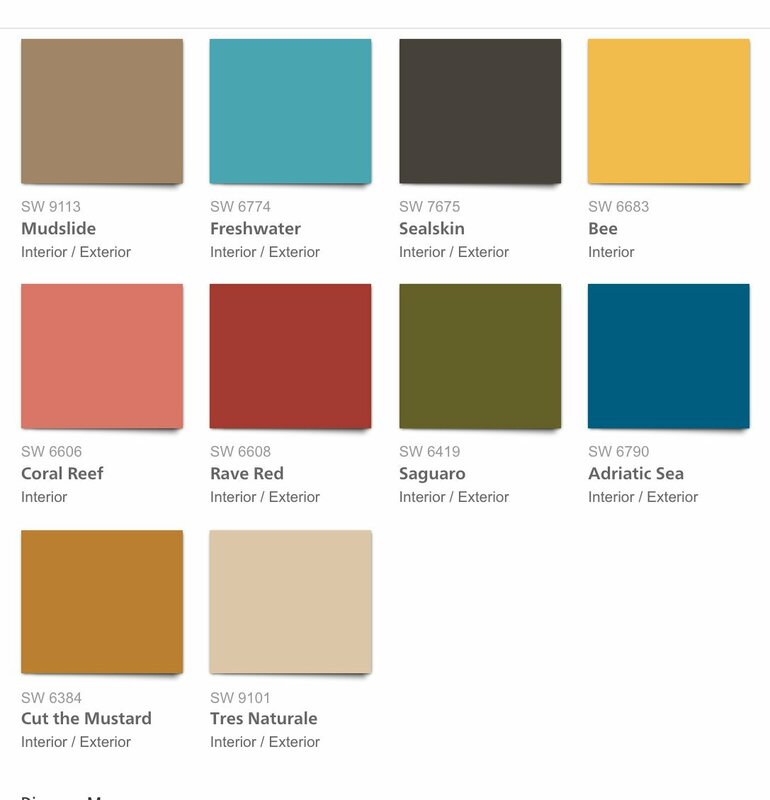 The last of the four color palettes from the Sherwin-Williams Color Forecast is Intrepid. Again, this palette is all about color, energy and fiery tones. To me, the Intrepid color palette is really about where we are going in color 2-3 years down the line because from every color indicator that I have read and trend info, we continue to be heading into yellow and purples. 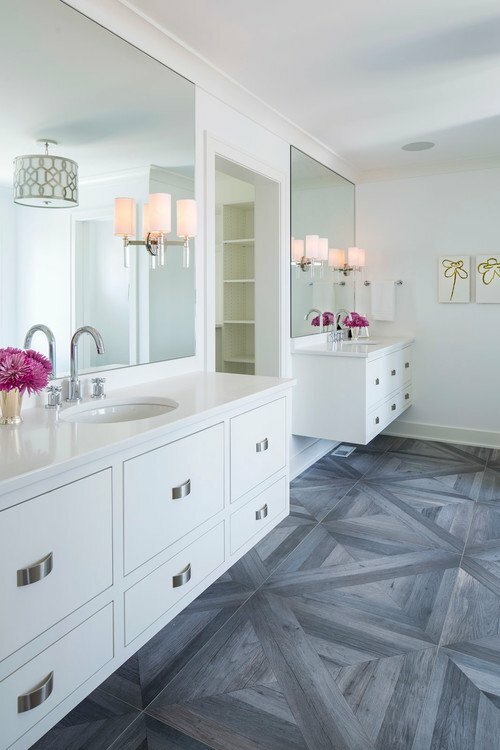 Also, it’s so interesting that High Reflective White (Sherwin-Williams) is in the above palette because this is a white that has really taken off and become so popular with designers and consumers all of the sudden. Its been around forever and it’s one of those truer whites with very little undertones. It’s such an interesting time when it comes to color and really, it’s a free for all more than any time that I can remember. While I think I’ll always be drawn to neutral and calmer colors, I can appreciate the bolder tones. So what do you think? What’s your favorite color from the forecasts? 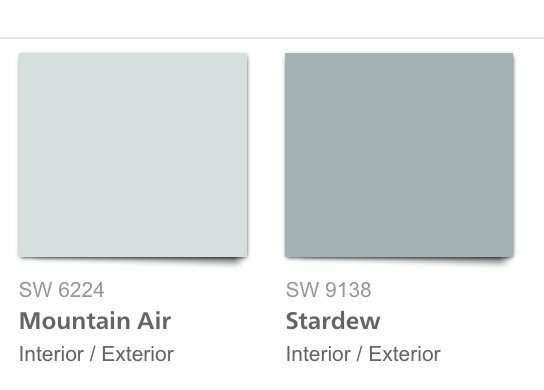 My favorite is Sherwin-Williams Mountain Air. I just can’t get enough of that serene light blue gray. 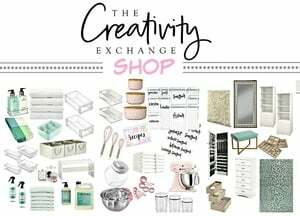 If you want even more color inspiration, I recently pulled together the 2016 bestselling Benjamin Moore and Sherwin Williams colors that you can read about by clicking the images below. Thanks for stopping by today friends! 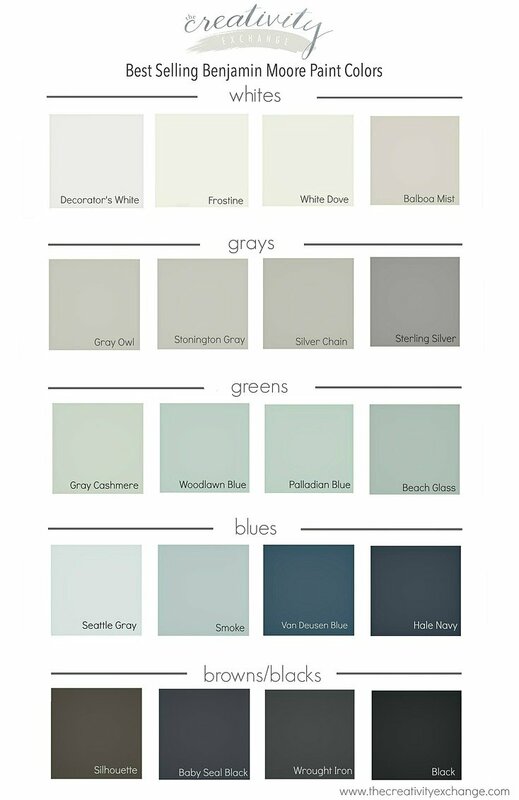 Be sure and check out all my paint boards over on Pinterest here for more great colors.